I have to admit that I gave up on Disney years ago. I don’t know if I outgrew it or if times changed and I didn’t. I was a fan of Disney’s Renaissance era, which consisted of beloved fairytales of enchanted castles and princes saving princesses. The animation was a work of art that must’ve taken the studio eons to create. This is what I was spoiled with at a young age. As the age of technology progressed, Disney began making computer generated characters with stories that were new concepts (Toy Story, Monster’s Inc., Cars, etc.). My family and friends-with-kids seemed to love these, but where was the romance of yesteryear? Where were the ball gowns and the hit-broadway-esque numbers? I regretfully resigned from watching Disney films thereafter … until now. Something about the trailers for “Frozen” intrigued me. I am not sure if it was because it took place in Norway (where most of my heritage is from), or if it was because the two sisters resembled myself and my redheaded best friend, Stacia, but I was hooked. I paid the heavy extra $4.00 fee for a whopping $9.50 ticket to see the film in 3D, got settled in my seat with my glasses, and kept my mind open. I was still not comfortable with the computer animation and the 3D, but no more than 10 minutes into the film, I was enchanted. The characters, the story, the gorgeous scenery , and in those two hours I escaped to a fjord of fantasy. The story begins with 2 royal sisters, Elsa and Anna. Elsa has the enchanted powers of all things winter, which Anna loves to enjoy. Their bond is insurmountable, or so they think, until a tragic accident occurs that forces their parents to make the unbearable decision to separate the girls for Anna’s safety. This divide continues into their adulthood when Elsa inadvertently freezes their kingdom, Arendelle, dooming them to an eternal frost. Elsa, ashamed, runs into hiding in the mountains. Now Anna has to journey into the dangerous blizzard to reason with Elsa to thaw out the kingdom and restore summer. I know what you are thinking, the same thing I did, that this is a Disney movie with the classic elements of feuds, fist fights, and true love’s kiss. However, let me assure you that there are twists and turns in the plot that will take you by surprise and leave you guessing until the end. 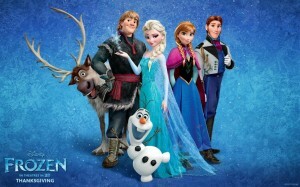 You will rethink what a Disney princess film consists of, after seeing “Frozen.” Not to mention, there is plenty of humor for both kids and adults. 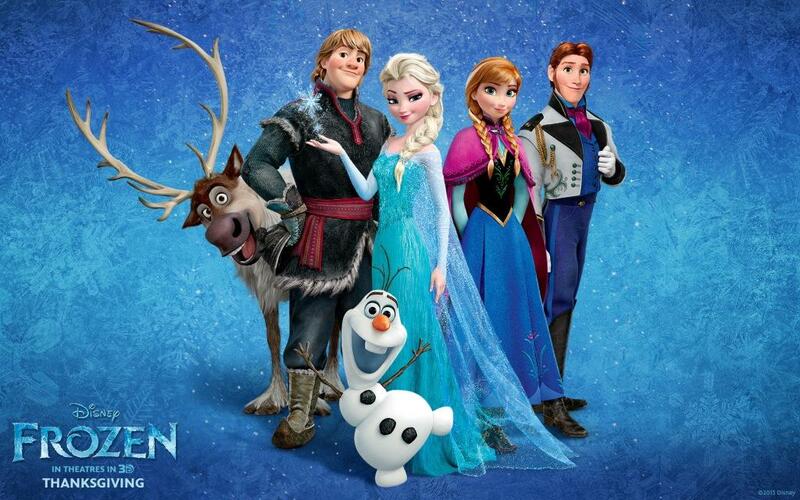 Bottom Line: Disney’s “Frozen” will melt your heart this winter. It’s a must see for everyone, from ages 1 to 100. I know that I will be returning to the theater in the next few weeks to see it with my nephew, Jonah (age 4). Tags: Review on Disney's "Frozen"